I hope you are all enjoying your September! We're having very nice weather here, if perhaps a bit warm for this time of year. Muggy, I guess you'd say. But I'm relishing the "late summer" feel to these days ... it will be so cold before we know it ... and it will stay cold for AGES. Anyhoo, what I have here is my (long promised) outline of this year's weekly themes. I refer to this concept as "seasonal homeschooling," but really, these themes are woven into all areas of our family and home life. I'll be expanding on these themes in a future project but for now, I thought you might enjoy seeing what we'll be focusing on in the seasons ahead. Mostly our themes connect with the natural rhythm of the year - this is something I've observed and enjoyed since I was very young - but there are also liturgical feasts listed here, as well as national holidays and family events. Well, there you have it! I will be adding to the list of events as the year goes along ... field trips and social gatherings come up as they do! And sometimes I switch themes up or continue one theme into the next ... I try not to sweat it too much! For instance, we are still looking around for autumn seeds (it was drizzly that week) and I switched up autumn orchard and crows/corn as they were originally scheduled - an apple picking opportunity came up and it just made more sense! But for now, I will wrap this up because dinner prep has started in the kitchen and - from the sounds of it - clearly Mama's help is required! Enjoy the rest of your evening my friends ... I hope to be back here again very soon! But anyhoo - I am very happy to FINALLY present my next set of seasonal planning sheets to you ... once again with my sincere apologies to be so VERY last minute. sigh My computer crash definitely slowed me down this summer, but honestly, it just took me a while to get around to ironing out all the details! (Not just the plans themselves, but the colors and the clipart!) I have such fun, thinking about these kinds of things, though ... I have always maintained that if we don't plan for joy as carefully as we plan for work, then we might just miss out on a lot. Too much. There are way too many things I LOVE about autumn that I want to share with my children. And I now have a good idea just how fast the years fly ... my oldest "baby" is 21, while my newest is a very busy and delightful THREE. How did that happen? I may not ever do everything in my plans but I am grateful for what we can do and glad I have made myself (and my family) aware of these kinds of things. These are the things that enrich the ordinary ... make the everyday special ... set one day apart from the next ... and remind us just how BLESSED we are to get to do it again, year after year ... as long as God allows. Well, ok - time to get down to the nitty gritty! Here are the planning sheets for the next season ahead, which I call "Early Autumn" (September and October). I have my "themes and plans" overview first - one with my notes and one that is blank for you to fill up with your own ideas (though you're welcome to try mine!). Then there are the multi-week planning sheets - an overview that allows for space for you to plan a weekly theme, days of note, home & garden tasks, comforts & joys, meal plans and to-do's ... along with a little vintage clipart and a snippet of an idea from me. :) These go from this coming week (9/5-9/11) through the last week of Early Autumn (10/31-11/6). I do hope these are of some use to you - I'd love to hear feedback if you have a minute! And please let me know if the links are wonky - I check on my end, but who knows what glitches might come to pass in cyberspace! I will be back next - PROMISE - with the 52 seasonal themes. (I think that's the third time I've promised them!) And in another month or so - hopefully sooner than later! - I will be back with my last set of seasonal sheets, Late Autumn (November and December). It is my fond hope to publish these on the early side and include some holidays sheets in there too. But we shall see. So please stay tuned, and thanks so much for stopping by! Planning a New Year + a Peek at My Lesson Planner! Happy Tuesday, my friends! I hope your week's off to a great start! These are heady days, aren't they? I just LOVE this time of year ... it's so full of promise and preparation. We're still enjoying the nice weather of late summer (warm, breezy, dry) but autumn is truly just around the corner so it's perfectly respectable to start planning ahead. (Great fun for those of us who love autumn and planning!) And while we're still in "vacation" mode here, it's definitely time to get our new year in order - plans, resources, learning space, official approval and all that. Part of that rhythm for me involves pulling together a lesson planner of some sort - a tool to help me iron out the year ahead. I'm very much an eclectic homeschooler, but I draw much inspiration from the Charlotte Mason and Waldorf styles of learning. Some years have leaned more one way than the other, but I am always better off with a PLAN of some sort in place. I started with a plain, one-subject, spiral-bound notebook I really like and covered it with a vintage alphabet scrapbook paper. (You can see the print in closer detail in my blog banner above.) I adhered the paper to the front of the notebook with some yellow washi tape and added a fun sticker on top. "Capture the Joy" sounds about right for a homeschooling motto! Inside the planner it's a rather humble affair ... I just used a pencil and ruler to create the pages I needed for planning. Inside the front pocket I keep a printout of the ed. plan I sent into the school system. After a title page I have a "Contact/Correspondence" log. Here is where I mark down when I send stuff into the superintendent and when I hear back. I also note our HSLDA renewal activity. I shaded in the days we would be on vacation (blue) and actively homeschooling (yellow). Green shading indicates a weekend. This helped me determine how many hours per week we need to count towards the 990 total for the year. Also, I can see where it makes sense to take time off and when we can (hopefully)wrap up for the year. Then comes a list of all the subject areas I want to include this year (for example - poem of the month, artist of the month, a monthly field trip, weekly nature study and art project, etc.). Next I break down the months of the year with notes in all areas - another hand-drawn chart with lots of tiny writing! It's hard to see here, but the circled letter denotes the month. On the far left I've listed the seasonal themes that fall within that month. Then comes two blocks for things like audiobook, history topic, science topics, artist(s), music focus, geography region, field trip idea, habit to work on ... etc.! And then finally on the far right I've written down the events of note in that month. These are days that will figure into our homeschooling in some way. Ok, so I get a little silly with my notebooks, I will happily admit. I love organization and tidy details, but I need to have a page for doodles and brainstorms! This is a portion of my favorite September poem and all around the edge of this page I've written out things I love about the month: apples, fresh pencils, goldenrod, grasshoppers, green tomatoes, alphabet soup, sweatshirts, spiderwebs, crisp mornings, cricket song, the harvest moon ... a kind of love letter to the month ahead. This might not be "standard" in a typical teacher's planner, but I love to include this kind of inspiration in mine! After the title page I have a monthly planning page for September with notes on the left and a calendar on the right. I use post-its here because I like how they allow me to organize ideas in a flexible and visual way. Each note represents a particular area of September planning: field trip, nature themes, nature study, science, geography, events of note, social studies, math, faith focus, music, crafts, good habit, literature, bird and badge of the month, and "teas" which are basically monthly sit-downs with special food and a seasonal celebration of some sort. The calendar (as with pretty much everything else in this planner!) is hand-drawn and embellished with a little seasonal washi tape, sticker and doodle. I'll add some quotes and notes here, too. And now for the nitty-gritty - the weekly lesson planning section! On the left side of the weekly spread is another post-it brainstorming page similar to the one in the monthly section. 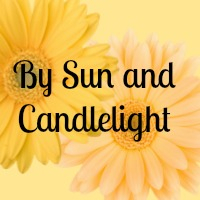 I've also listed the theme for the week (sunflowers this week) and any days of note. I have not yet decided if I will continue to use post-it notes here (which are fun and convenient but might bulk up my planner) or if I'll commit to a hand-drawn grid for planning. Meanwhile, on the right-hand page I have a chart where I can sketch out daily details for each of my three students. There are rows for Monday through Friday and then a large row for the weekend at the bottom. We don't typically do academic work on the weekends, but there is usually homework for my 17yo as well as seasonal, family activities to enjoy. If I've established an atmosphere that promotes learning, they will learn. If I've encouraged an attitude of curiosity they'll be curious. If I've shared my own joy and wonder at the world, then the world will be a source of joy and wonder for my children. If I can check boxes off in my planner I'll be thrilled, but there is room to see where my children might lead me, too. A look at this year's file crate. A tour of my brand new desk! So I hope you all enjoy your week and what's left of this summer season ... thanks so much for stopping by! Happy Sunday, my friends! A quick(ish) post today to follow up on some "planning sheet" questions AND to share a little bit of planning news! First my news: remember last month I participated in a live planning chat "webinar" with Mystie from Simplified Organization and Jen from Wildflowers & Marbles? Well I'm so pleased to announce that we are going to do an encore webinar NEXT Saturday, January 16th at 10 a.m. (EST)! 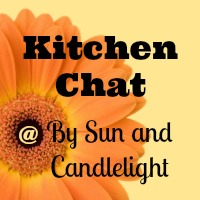 I hope you'll grab yourself a cup of coffee and join us for some more planning chat! Now, if you signed up for our December workshop you will get an email reminder for the talk (plus the link for playback) but if you missed us last time, you can go HERE to sign up and join in the fun. I believe we are going to focus on seasonal planning this time around, but please let me know if there are some specific questions that you'd like to see addressed. You can also ask (or type!) your questions for us during the live chat, but I'd love to hear what's on your mind these days when it comes to a new year of planning! I would love to see how one looks when it is filled out with your daily routines. Also, I was wondering how you incorporated your cleaning schedule into these sheets? Michelle, I will share a planning sheet "in action" in a follow-up post. I am waiting for our new printer to arrive so I can print out more sheets - our old one died a few days ago! (It's scheduled to arrive tomorrow - you've gotta love Amazon Prime!) I will print out next week's planning sheets and then, in another post, I will show you all how I'm filling them in. And I've incorporated my cleaning schedule into the planner itself (the spiral-bound notebook I've made up and will share in a post this week). I have listed my housekeeping tasks in my weekly agenda, in checklist form. I especially love your "Deep Winter Overview" and would love to see how it flows through and works into your week(s). Your themes change weekly, time flies so quickly, how do you establish each theme? Crafts, menus, books, decorating details? What I do is sit down and and brainstorm the year as I see it, filled with so much joy - as I go through my past journals and read through some favorite seasonal resources I take notes of things that I love about the seasons. Using this large list of ideas - events, qualities, remembrances - I work themes into the weeks of the year. Some of them just fit with certain weeks because they match up with a full moon or a feast day - eg. winter stars at Epiphany, candles at Candlemas, maple during the full sap moon, snowflakes for St. Agnes, etc. With this outline of themes, I schedule activities and observations where I can - in our homeschooling, craft projects, family meals, our weekly book basket, and sometimes just my own thoughts and personal activities. So, for example, next week my theme is "warming drinks." I chose this theme to be part of January because it is National Hot Tea Month and because I feel hot drinks to be such a comfort and joy at this time of year. It is also my birthday week, and tea (and coffee) is such a big part of my life! So I want to celebrate it a little ... with a "birthday tea" for myself and with my kids (who prefer cocoa) and perhaps a cleaning out of my china cupboard - dusting my pots, cups and saucers. (Remembering the tea I shared with my late grandmother - in those very pots! - whose birthday is also this week.) I retired my autumn and Christmas mugs and found my "new" mug for the winter season - a cheerful, golden mug that holds a very generous volume of beverage! Well, I got a bit rambly, Deb, but I hope I answered your question. Please let me know if I can clarify further! I am wondering.... did you do these in Word? The reason I ask is that I would like to create a 'deep winter' overview, but my lists would have different things to focus on. Shelly, I did these sheets in an application called, "Pages" on my Macbook. I don't know how or if that would work with Word, but what I did was I went back into the Deep Winter Overview page and deleted personal text. I left the dated nine weekly blocks and the snowdrops graphic. If that would be something you could use, feel free to grab it! I had someone ask if they would be able to make the pages editable, but I'm not sure how that would work. I could see using these as brainstorming sheets, and then transferring the ideas/thoughts to my planner (monthly, daily, and weekly to-do's). Thank you for sharing these! Isn't planning such a joy, especially when it helps us live out our lives more intentionally? Happy Friday, my friends! I hope this week is treating you well. I have two page designs - one is for general planning and the other is for lesson planning. I am stapling them to the front cover of the folders, with general planning on the outside and lesson planning on the inside. You could also use Washi tape to attach them, or a decorative paper clip, perhaps ... but so far, stapling works for me! I only have my first season (aka two months) done so far, but if there is interest, I will share the following seasons as I complete them. So here first is my Deep Winter Overview 2016 PDF which breaks down the season by weeks and themes, and will perhaps give you a better idea of what those project pages cover. This particular sheet I have attached inside my notebook planner, at the start of the Deep Winter section, secured with some pretty washi tape. And, finally, here are the Weekly Planning Sheets for January and February. There are sections for planning "days of note," a weekly "theme," suppers, to-dos, crafts & comforts, home & garden tasks/projects, and thoughts & prayers. I also had fun choosing a bit of vintage clipart and adding a simple seasonal "suggestion" for the week. I can do a follow-up post to show how I fill out those blocks. This sheet shown above was hot-off-the-presses and just set on top of a folder for a photo-op. Now as I mentioned, I also have my notebook planner going on, and I use that more actively than I do these folders/sheets. I refer to my folders/sheets for ideas and direction, but I have daily checklists and a weekly agenda in my planner. I hope this will all make more sense once I give you the full planner tour - WHICH I am hoping to have up midweek! I have a busy weekend with family visits and such, but I will be working in my planner as I find time and taking pictures to share. My goal is to post the tour by Wednesday! So for now, I will let you go, but I hope you enjoyed this post and seeing all my Deep Winter planning! I would love to hear your thoughts on them if you have time! I would also love to write more about how I'm using the sheets but nap time is nearing its end so I'd better wrap up. I will be back very soon, however, and for now I wish you all a wonderful weekend! Happy Wednesday, my friends! It's a good day for a giveaway! I will announce the giveaway winner in Monday's Advent Tea post! Enjoy the rest of your Wednesday, my friends ... hope to hear from you soon! Sunset, 4:20 p.m. Sunday. Just before the Patriots Game. November days - are they dark? Yes, they can be. But dull? No, they don't have to be. There's much to be thankful for and so many ways to explore this big, blessed world. It is my hope to highlight these joys in each week of the year ... to work them into my "plans" so they become more than just ideas, but actions ... and then to share them all with my family, and you! In tonight's post I am finally going to show you my newly made weekly planner, and in a follow-up post I will show you the rest of my planning tools and how the new planner will (hopefully) fit into the overall planning repertoire. Such as it is. Anyhoo! It's a weekly planner - because I really look at my time in increments of *this week* and all that applies to that framework of time. How busy will we be? When are we in/when are we out? What special events are we noting/observing/celebrating perhaps? What will our Sunday dinner be? What learning themes are we working around? What's happening at Church this week? What household projects am I tackling? 1. Planner Cover: a pretty piece of scrapbook paper seen above, plain and simple. (I've since attached a label as seen in the top photos.) I declined the plastic cover sheet offered by Staples when I had the binding done, just as I always do. "But it's free," the Staples associate said, eyebrows raised. Well, that plastic just doesn't sit right with me, so I guess I'll have to take my chances. 2. Planner Paper: Ok, bear with me now ... I used all Staples-brand, loose-leaf, college-ruled paper. (I told you this was nothing fancy!) I have been journaling on this particular paper for a long time and it just feels good when I write on it. (Paper-and-pen enthusiasts will know what I mean.) It's very smooth, the lines are light and I'm very comfortable with it, so when I was getting my planner started I thought, why not use my regular ol' loose-leaf? So what if there are holes along the edges? I can overlook that. (I'm pretty sure.) And it took the coil binding just fine. 3. Title Page: "Living the Seasons ~ at Home * in Nature * with Faith ~ a weekly planner for 2015" Now, I've never named my planner before, but as I've mentioned, I'm trying to planning to going to write a book this year and I'm hoping this planner will provide something of an outline for my writing. 4. Emergency and Personal Information - I didn't include a photo of this page for privacy reasons, but this is on the backside of the title page, and includes numbers I need to know and remember (for myself or someone else should they need it). Allergy information, and the like. 5. Months of the Year Overview: (Shown above.) Basically, this is an outline of the major events of the 12 months of the year. Things like birthdays, feast days, Sacraments, full moons, major sporting events (the ones we care about) and daylight savings time, etc. 7. Monthly Appointment Calendars: Because I envision myself taking this planner out and about with me, I'll need these calendars when making appointments at the doctor, dentist, hairdresser, etc. *By the way, I used an engineering ruler to make all the grids, columns and rows, etc. (My dad is a structural engineer and I've always preferred this style ruler.) It seems like a lot of work - but while it is time-consuming, it's not hard at all. It's actually quite rhythmic. 10. Around the Home ~ Monthly Projects: I have a monthly cleaning schedule for myself this year - I've divided the house by rooms/zones and assigned walls to weeks. That sounds strange, I know, but I will explain more in a future post. (January is assigned the Master Bedroom and I begin with one wall a week ... hoping to complete the circuit of the house by Christmas, 2015!) I have it typed out on my phone (written during nursing/naptimes!) and will transcribe the schedule here on this page. I modeled this planner set-up after a Payne planner I've used off and on through the years - and though I liked it, it always left me wanting something a little more personal. I have space all around for notes and quotes, scribbles and remembrances ... and the space at the bottom of each column is for daily chores and reminders (eg. clean bedrooms (M), clean bathrooms (T), etc.). (Sorry this picture isn't so great!) The final page in each week's section is a review page with a section for each of my four boys, where I can jot down notes about their week. Lessons/activities/things they said or did. The college boy's section is the small spot at the bottom since I'll probably have the least to say about him! On New Year's Day, I brought my (mostly) done planner to Staples where a very nice associate bound it for me for all of $4. (I always choose coil over comb binding.) It wasn't the first time I had a planner bound here but I am always a little shy about doing so because well, some people just don't get it. Not that anyone's ever said anything to me, but I sometimes wonder what on earth they are thinking as they see all my scribbles and goals and designs. But what was kind of neat was this woman happened to be an avid letter writer (she thought I might be making a journal) who has pen pals all over the world. She said I had given her an idea to have her letters (all hand-written and many pages long) bound in this way, as keepsakes. I was very glad to have given her an idea and support a fellow (sister?) paper-crafter! I'll wrap up now - I've kept you so long! But I thank you as always for joining me and wish you all a pleasant evening and a happy Sunday tomorrow. Take care of yourselves and your loved ones ... and I'll see you here again very soon! I am just so overwhelmed by the amazing response to my "Opinions, please" post! THANK YOU, everyone, for taking the time to offer your opinions and suggestions for my "maybe-someday-soon" book. I am grateful for all of your kind words, your offers of assistance and all your generous encouragement. Please know I cherish each and every opinion - they are feeding my focus and energy for this project!! In fact, I am printing out every comment to keep in my newly established "work" binder - to read, hi-light and consider. Your many specific ideas are really helping me to define my ideas - and are shaping my vision and goals. I definitely can see a common theme in all your suggestions, and believe me I'm taking all of them to heart! But for now, have a wonderful Wednesday, my friends - keep warm and keep well! I will talk to you all again soon.